One soft rug finally pulled the weight out from under me. After an hour-long state of frozen emotion, a stream of hopelessness fell beside the beautiful claw-foot tub. The hand on my shoulder felt familiar and firm, present now as in other periodic breakdowns. Even honest efforts to walk in our calling can leave us vulnerable to the cling of control. 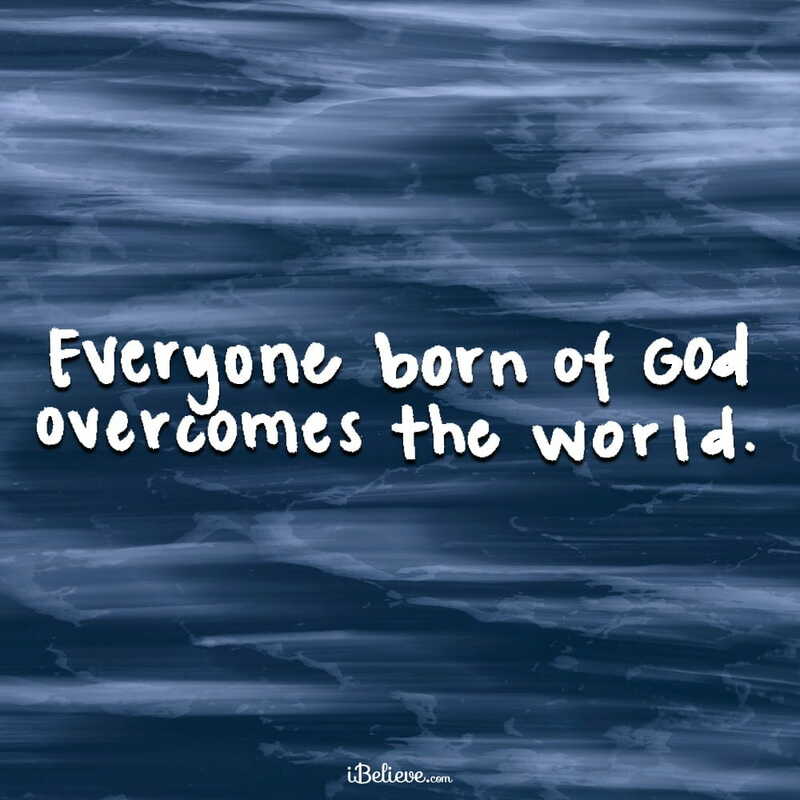 Overcome,“nikao” in the Greek context of this verse, means “to conquer: to carry off the victory, come off victorious.” John wrote his letter during an era in which believers faced death and persecution. The strength to conquer the impossible adversity they faced came from Christ. When we stand with Jesus, He links arms with us in victory. The release of broken emotions allows us to relinquish control. A lack of forgiveness, extended or accepted, can strangle our efforts to walk in peace. A burden to be strong for others can suffocate our own ability to breathe. Un-illuminated disobedience can leave us feeling as if no effort is good enough. Our obedience illustrates reciprocated love for God. When we try to swim against the current of His goodwill for our lives, we run the risk of drowning in our efforts. Operating in the will of God never requires our strength, but that of the Holy Spirit. Every Christian has strength beyond human capability. The purpose built into our lives isn’t “burdensome,” but human inclination can make the maturation of faith feel akin to crawling through a tunnel of needles. It hurts when we try to grow outside of His grace! When we are writhing in pain, wondering what where we went wrong …it’s our doing that we need to address. God has equipped us with a Spirit of strength and courage, through the death and resurrection of Jesus Christ. We are never alone, because He came. There is forever a hand on our shoulder as we break down. He waits patiently for us to release everything we try to accomplish into His capable hands. By His strength we will stand, and through His love we will straighten up to walk in Grace. We praise You for sending Your Son to abide with us and be with us. Life can feel lonely, but the fact is …we are never alone. That is a truth we can cling to during the ugliest breakdowns. Thank You for giving us the grace to release our failed efforts and bottled up emotions to You, free of judgment and full of healing love. Forgive us for walking through life without the joy that Jesus died to fill our hearts with. Help us to find You in the hard moments of life, and remember the comfort and truth of Your promises during seasons of suffering. Jesus, You never leave us, and always guide us. Who we are becoming is no secret to You, You who formed us in our mother’s womb. You came down to earth to save us, love us, and show us how to live. May we chase after You all of our days, and experience the rich and irreplaceable Peace that allows us to overcome …to walk victorious …and to hold onto hope. Meg writes about everyday life within the love of Christ on her blog, http://sunnyand80.org.“Mom” is the most important calling on her life, next to encouraging others to seek Him first … authentically. A writer, dance mom, substitute teacher, youth worship leader/teacher and Bible Study leader, she can often be found having some kind of an adventure in the small little lake town where she resides with her husband of ten years, two daughters, and their Golden-doodle.